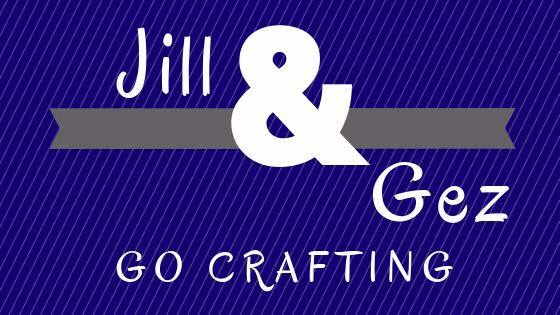 Welcome to my blog today and another instalment of "Jill and Gez Go Crafting" where myself and my good friend Gez, of Nigezza Creates, each post projects made by the other on our blogs. Gez has been producing some fantastic projects just recently - difficult to choose just three. But first today I had to include this lovely storage box that Gez has made to store her dies. 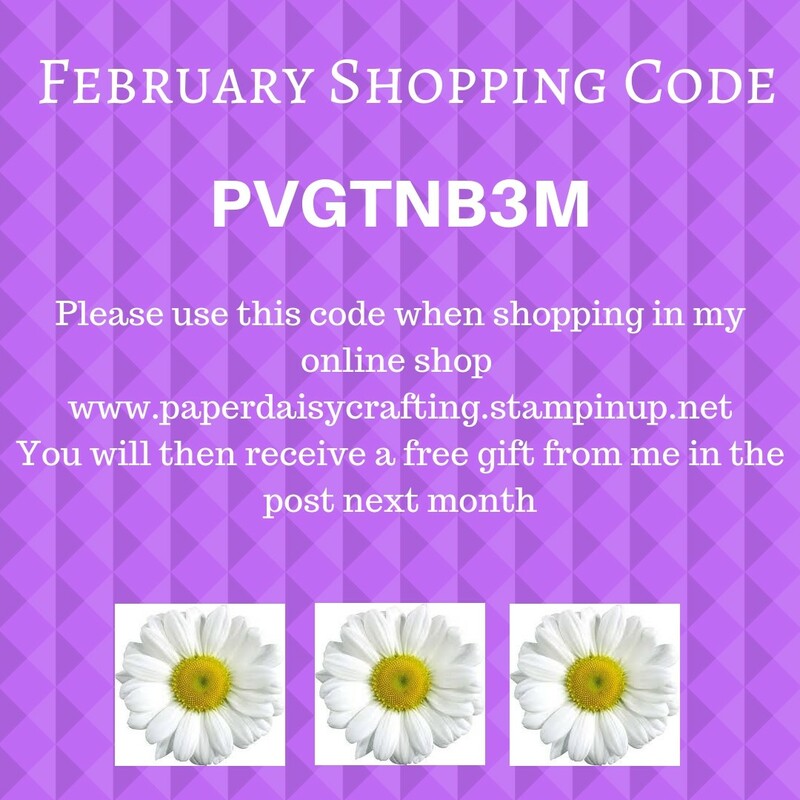 It is always great to have ideas for organising our crafty stash!! Gez has all the details abouit this box including measurements and a video tutorial over on her blog HERE. Next I have chosen this set of cards and matching box. 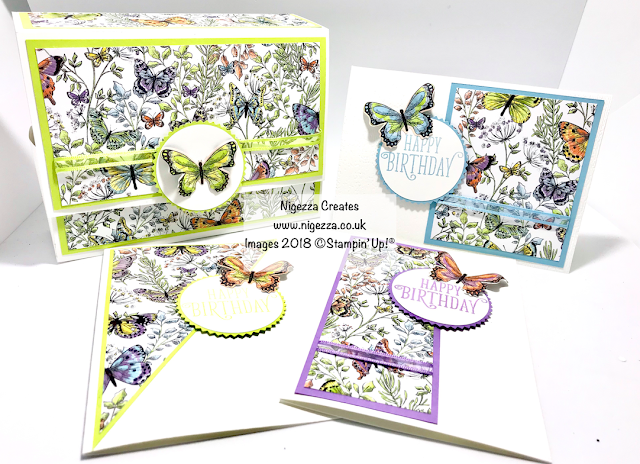 Only three of the cards are shown here - in fact Gez made lots more and all of them were made using just one 12" x 12" sheet of patterned paper. 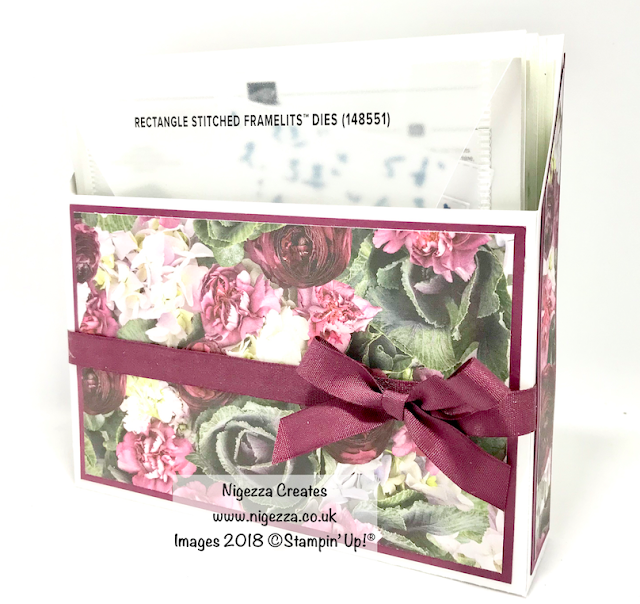 This technique is called a One Sheet Wonder or OSW) and if you pop over to Gez's blog you can watch her video tutorial and find out how to buy a copy of the template. See it HERE. And finally for today I have chosen this lovely project. 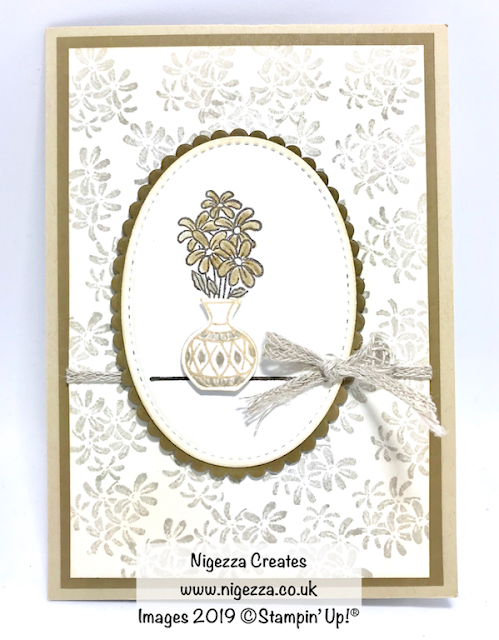 Gez has used the new stamp set "Vibrant Vases", which coordinates with the Vases Builder punch, to create this lovely vintage style card in subdued tones. Read more about this card on Gez's blog HERE.